Photographs can help sell your eBay merchandise, so you need to take this part of your business seriously. Of course, if you sell only one type of item, you won’t need such a varied selection of stuff, but you should have the basic photo setup. A tripod is an extendable, three-legged aluminum stand that holds your camera. You should look for one that has a quick release so if you want to take the camera off the tripod for a close-up, you don’t have to unscrew it from the base and then screw it back on for the next picture. The legs should extend to your desired height, lock in place with clamp-type locks, and have a crank-style, geared center column so you can move your camera smoothly up and down for different shots. Most tripods also have a panning head for shooting from different angles. You can purchase a tripod from a camera store or on eBay for as low as $25. Rechargeable batteries: Many specialists on eBay sell rechargeable batteries and chargers. Choose quality Ni-MH (nickel-metal hydride) batteries because this kind, unlike Ni-Cad (nickel-cadmium) batteries, has no “memory effect.” That means you don’t have to totally discharge them before recharging. Lithium-ion batteries: These batteries are the longest lasting and lightest batteries available, but they’re also expensive. Then some smart guy figured out a way to put two batteries into one unit; considerably cutting the price. These batteries can average 650 photos before you have to change them. It allows you to take the most detailed photos of antiques and specialty items at night. The nylon cube diffuses the light so that there are no harsh shadows and you don’t burn out minute details with too much light. Seamless: In professional photo-talk, seamless is a large roll of 3-foot (and wider) paper that comes in various colors and is suspended and draped behind the model and over the floor. Photographers also drape the seamless over tabletop shots. Fabrics: Neutral fabrics are best for photographing your merchandise so the color of the fabric doesn’t clash with or distract from your items. Some of the photo cubes on eBay come with great low-wrinkle fabric backgrounds as well. Portable Photo background: A portable photo stage is another valuable tool for taking pictures indoors or out. Textured ABS plastic is manufactured so you can set it in a curve shape; the stage can be set on any surface — and will permit you to take a clean picture without extraneous backgrounds. If you’re going to photograph a lot of jewelry, collectible coins, or other metallic items, you’ll probably become frustrated at the quality of your pictures. Metallic objects seem to pick up random color from any kind of light you shine on them for picture-taking. The Cloud Dome is a large plastic bowl on which you mount your camera. You take your pictures through the dome. The translucent white plastic diffuses the light so your item is lit evenly from all sides, eliminating glare and bad shadows. To take good photos, you need some props. Although you may think it strange that a line item in your accounting program will read props, they do qualify as a business expense. If you’re selling clothing, you’d better photograph it on a mannequin. If you don’t want to dive right in and buy a mannequin, at least get a body form to wear the outfit. If you sell children’s clothing, get a child’s mannequin form as well. The same goes for men’s clothes. Jewelry doesn’t photograph well on a person’s hand and looks a lot better when you display it on a stand or a velvet pad. 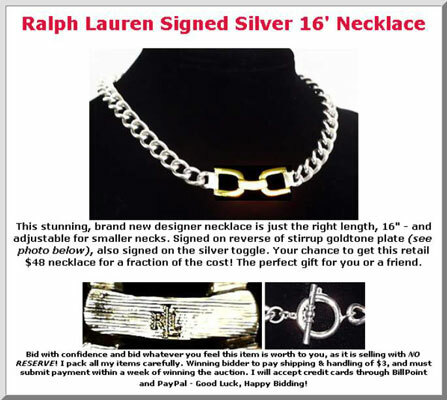 If you’re selling a necklace, why not display it on a necklace stand, not on a person. Risers can be almost anything that you use to prop up your item to make it more attractive in a picture. Put riser pieces that aren’t attractive under the cloth that you use as a background. Keep a collection of risers and propping materials in your photo area so they’re always close at hand. Bottles of heavy stuff: Some photographers use little bottles of mercury to prop up small boxes and other items in a picture. Mercury is a heavy liquid metal — but also a poison, so try the same technique with small bottles filled with other weighty stuff. Beeswax and clay: To set up photos for catalogs, some photographers prop up fine jewelry and collectible porcelain with beeswax or clay. Beeswax is a neutral color and doesn’t usually show up in the photo. However, you must dispose of beeswax afterward, often because it picks up dirt from your hands and fuzz from fabric. Museum Gel or Quake Hold: These two products are invaluable when you want to hold a small object at an unnatural angle for a photograph. Museums use this puttylike product to securely keep breakables in one place. Museum Gel can sometimes be difficult to remove from items, so you can use Quake Hold putty for your eBay items. Metal clamps and duct tape: These multipurpose items are used in many photo shoots in some of the strangest places. For example, if your mannequin is a few sizes too small for the dress you want to photograph, how do you fix that? Don’t pad the mannequin; simply fold over the dress in the back and clamp the excess material with a metal clamp or clothespin.